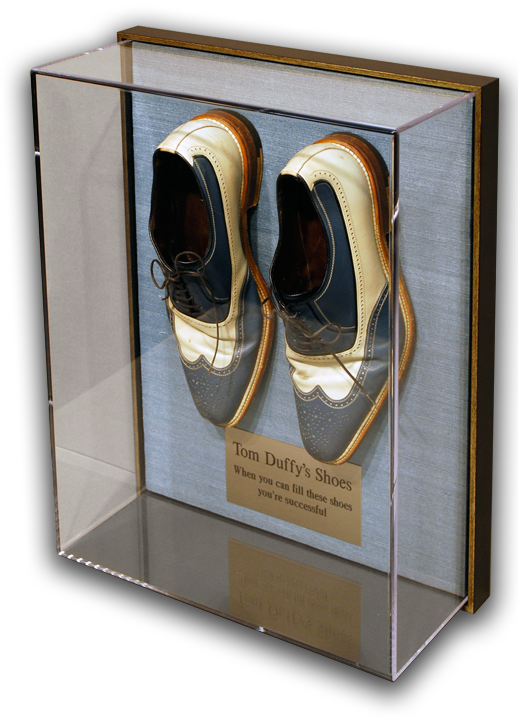 A pair of shoes worn by Tom Duffy is preserved and displayed in this Acrylic Box. 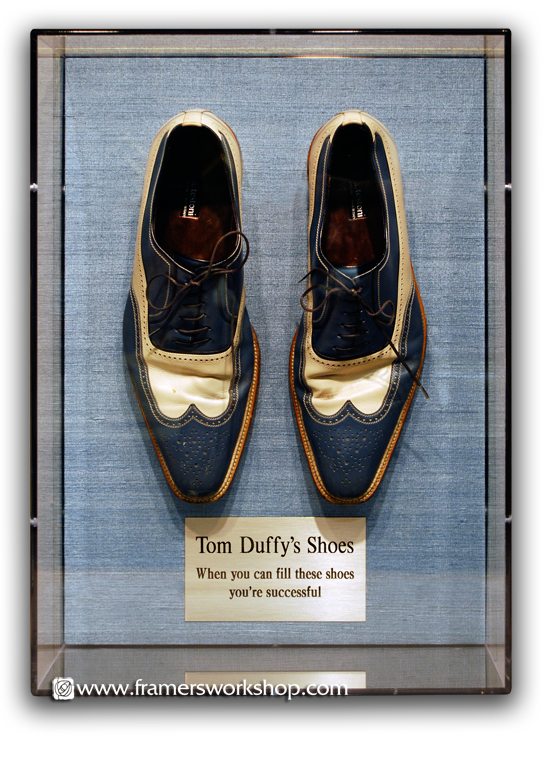 The shoes are invisibly wired to a substrate that has been covered with a light blue silk with a brass plaque. The back of the acrylic box is framed with a gold-edged floater frame.